Whilst there is a setting in Group Policy Preferences to deploy WiFi settings, this does not include the WiFi Pre-Shared Key (PSK). Note that the key=clear is vital for this to work. Copy that XML file to a network share that is accessible from the computer accounts. Do bear in mind the WiFi key is visible in plain text within this file, so consideration must be taken as where/how to store it. … however, this will reinstall and reconnect the WiFi each time. How to fix: “NBP filesize is 0 bytes” when PXE booting. PXE-E23 error. This error is caused by wdsmgfw.efi missing from <WDS root>\boot\x64\ directory. Could not verify the information specified for Department ID Management or User Management. Printing will be canceled. Refer to [Troubleshooting] in Help for more information. You have a Canon copier/MFD setup in a print server/client scenario. You also have Department ID’s requirement enabled. You need to install the Canon Driver Information Assist Service on the print server. The installer is called “DIASsetup.exe” and resides in the “misc” folder on the driver installation directory. Printing should work fine from clients once this service is installed on the print server. Accessing the BIOS and boot options are critical for installing Windows or PXE booting. If I’m being honest, it took me a few attempts to get into the BIOS for this model of laptop. If I put this info here it may help a fellow techie elsewhere..
To access the Boot Menu.. If you need to migrate your shares from one Windows server to another, the Microsoft documentation will give you the “proper” process (by way of File Server Resource Manager). This is a much quicker and dirtier method that I’ve used many times. On the new server: check the same key and see if any shares already exist and need to be kept. If they do, export the key and keep it safe. Transfer the exported registry key to the new server and double-click to import it. Reboot the server and that’s it! We all know how important PowerShell has become, so it important to be able to establish a connection to Office 365. Some things just can’t be done through the web-based GUI that Microsoft provides (or take a lot longer to do. Think repetitive tasks). Enter these one at a time, and you’ll then be connected to Office 365 Exchange! I recently had a fresh Server 2016 installation that was stuck on “0% downloading” updates permanently. Note: We also have to go via a proxy server for our internet connection. you will see the system proxy hasn’t been set. Now your Windows Update should work as expected again (you many need to restart the service first). Not quite sure why this has become “a thing” seeing as Server 2012 R2 never needed this, but hey-ho! 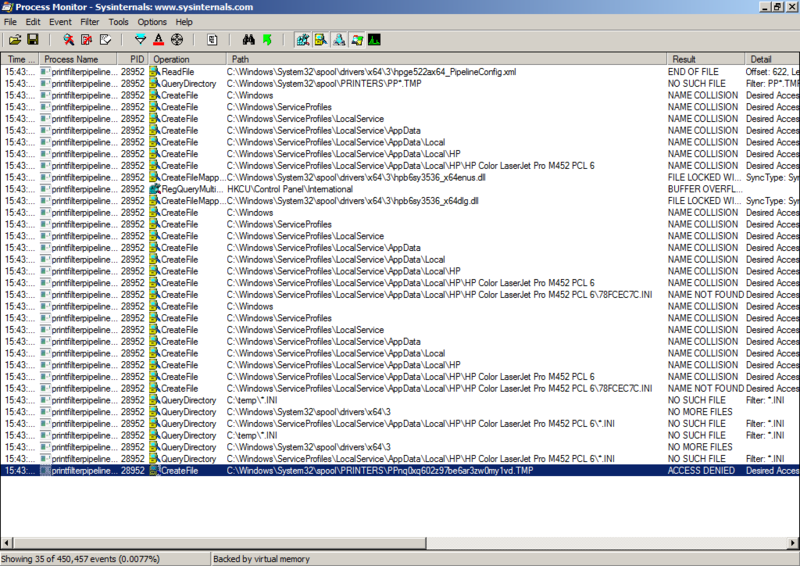 Cannot print to network printer: “Win32 error code returned by the print processor: 5. Access is denied.”. Cannot print to network printer. Print jobs appear and disappear as expected in the print queue, however no data is sent to the printer. The document Test Page, owned by USERNAME, failed to print on printer PRINTER. Try to print the document again, or restart the print spooler. Data type: RAW. Size of the spool file in bytes: 145189. Number of bytes printed: 0. Total number of pages in the document: 1. Number of pages printed: 0. Client computer: \\SERVERNAME. Win32 error code returned by the print processor: 5. Access is denied. I was trying to install Sophos Enterprise Console on a new server (a process I have done many, many times) and got hit with a very generic error message, prompting me to look at the installer log file. Need to replace one of your file servers? Maybe you’re migrating from Server 2008 to 2012/2016. Best of luck with the rest of your migration! “Applying computer settings” or “Please wait” taking a VERY long time. KB2775511 to the rescue! I had a friend reach out to me for some help: there was a single Windows 7 computer at his work that would intermittently get stuck at “Please wait…”for about 30 mins when booting. A few days goes by and I get a phone call from my friend again. The computer is stuck again, this time saying “Applying computer settings…”. Not very helpful. This is where the magical KB2775511 comes in. This is a must have for any Windows domain environment and contains over 90 various domain-focused fixes, including Folder Redirection, SMB, Offline Files, Group Policy etc. This update has fixed many of my issues, both directly and indirectly. How can I tell if I’m using FRS or DFSR for SYSVOL replication?